Vinny Curry started for the Eagles in 2017. 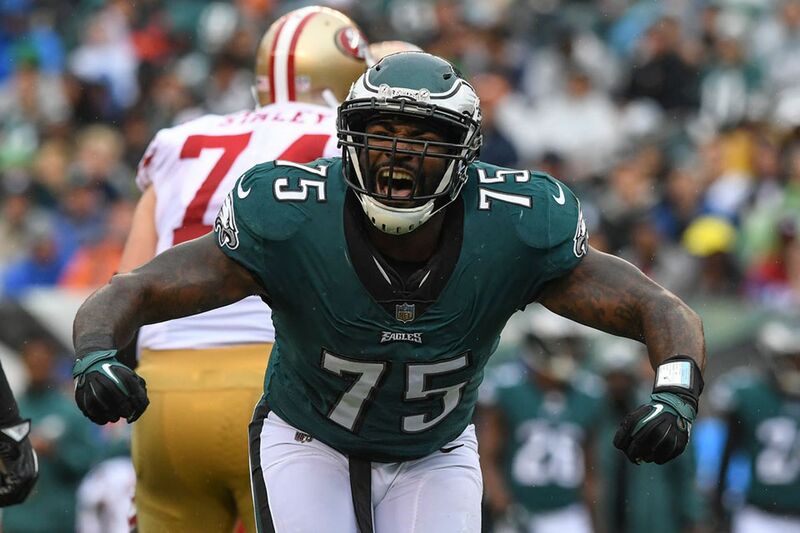 The Eagles are nearing a deal to bring defensive end Vinny Curry back to Philadelphia, according to a league source. Curry, 30, spent last season with Tampa Bay, where he started seven games and finished with 15 solo tackles and 2.5 sacks while nursing an ankle injury. The Bucs released Curry last month. He spent the first six years of his career with the Eagles, who drafted Curry in second round of the 2012 draft. Curry spent most of his early career with the Eagles as a reserve situational pass rusher, although he showed enough promise to earn a big contract in 2016. He first cracked the starting lineup in 2017 and was a key member of the Eagles’ Super Bowl team. He had 22 sacks in six seasons with the team, including a career-high nine sacks in 2014. The Eagles cut Curry in March 2018 to open $5 million in salary cap space, and he soon landed with Tampa Bay. Curry grew up as a devoted Eagles fan in Neptune, N.J., adding special meaning to his spot in the Super Bowl parade. The Eagles like to use a defensive end rotation, and Curry will help the team’s depth. Brandon Graham signed a three-year, $40 million extension, but the Eagles traded Michael Bennett to the Patriots, Chris Long is undecided about his football future, and Derek Barnett is coming off major shoulder surgery. The Eagles also have 2018 fourth-round pick Josh Sweat and could add an edge rusher in the draft, too. Graham and Barnett are expected to start in 2019.